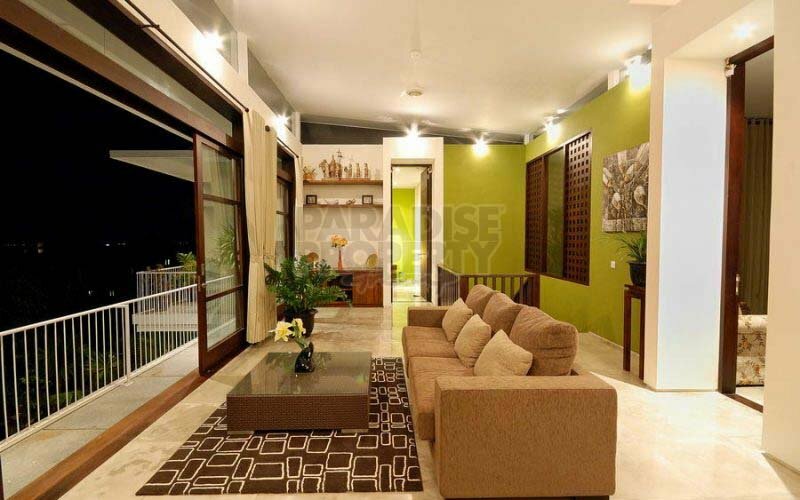 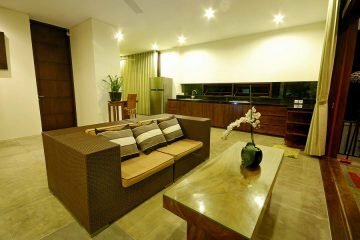 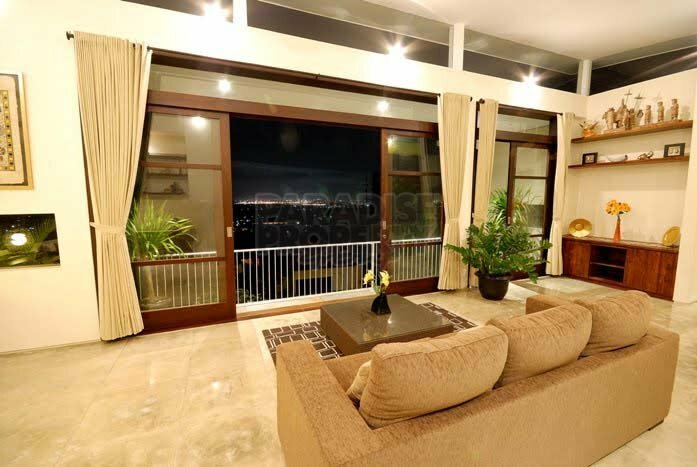 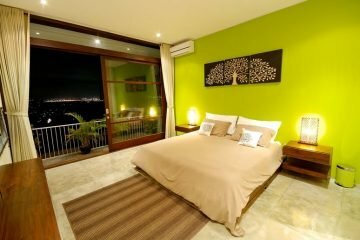 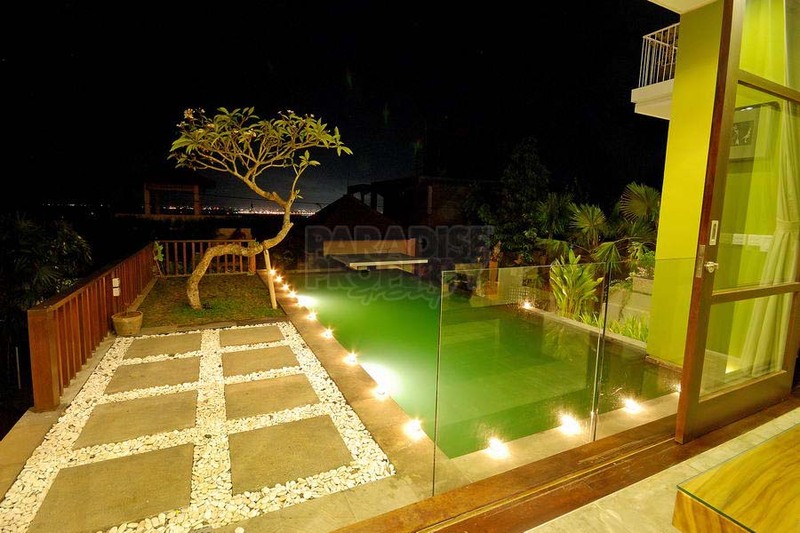 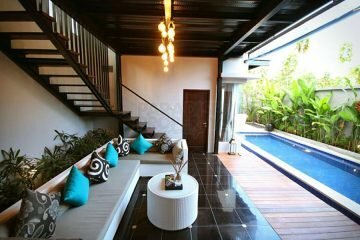 This cozy, warm villa is located in a quiet area of Jimbaran and comes well furnished for a comfortable holiday lifestyle, with compelling aesthetics and sizable rooms. 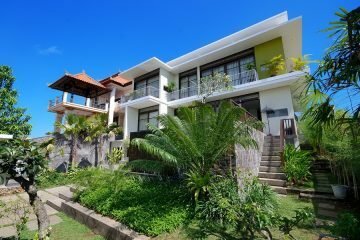 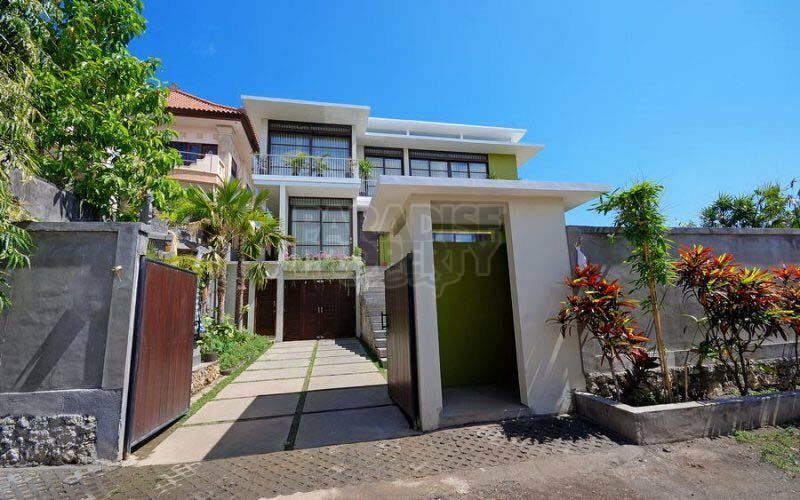 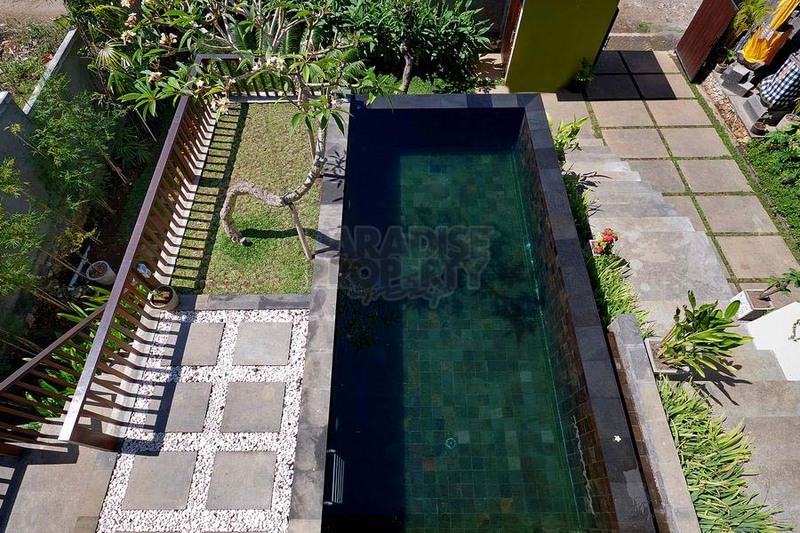 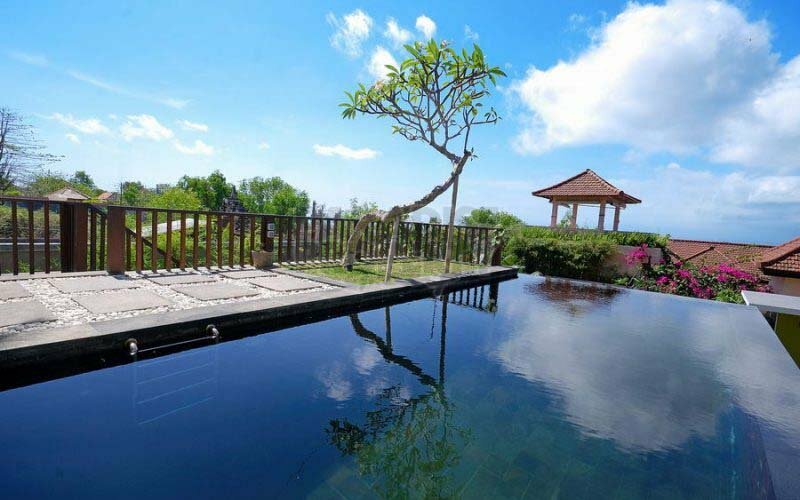 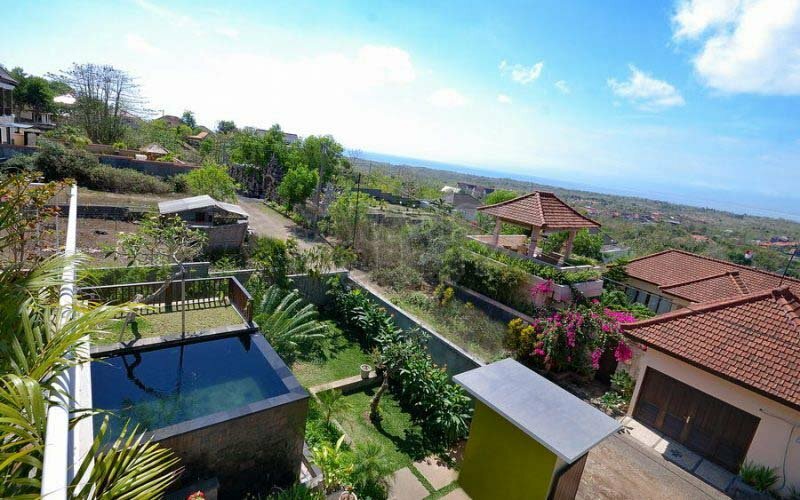 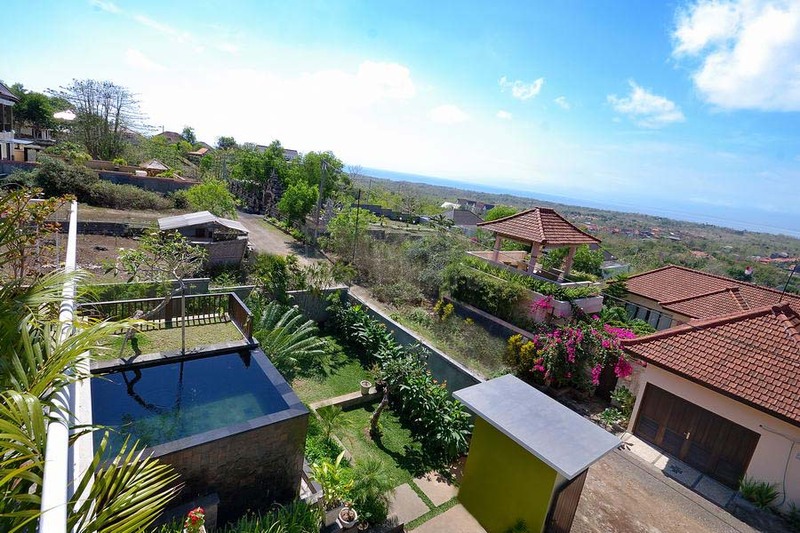 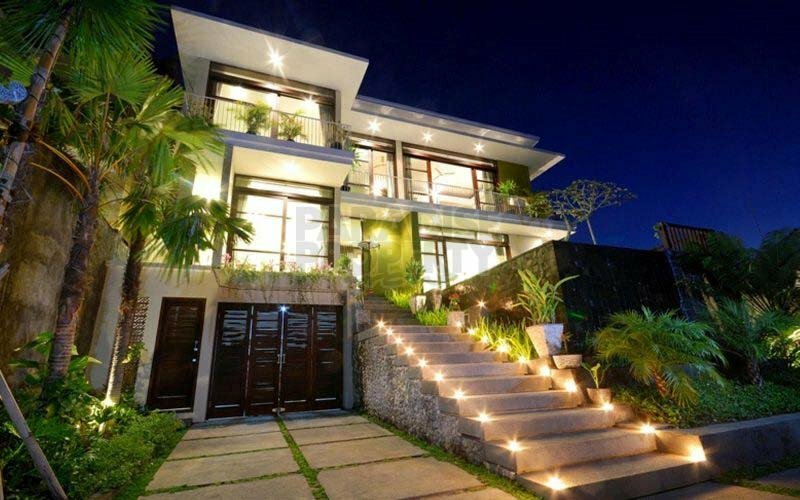 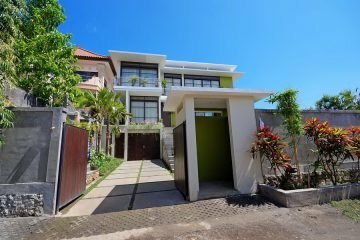 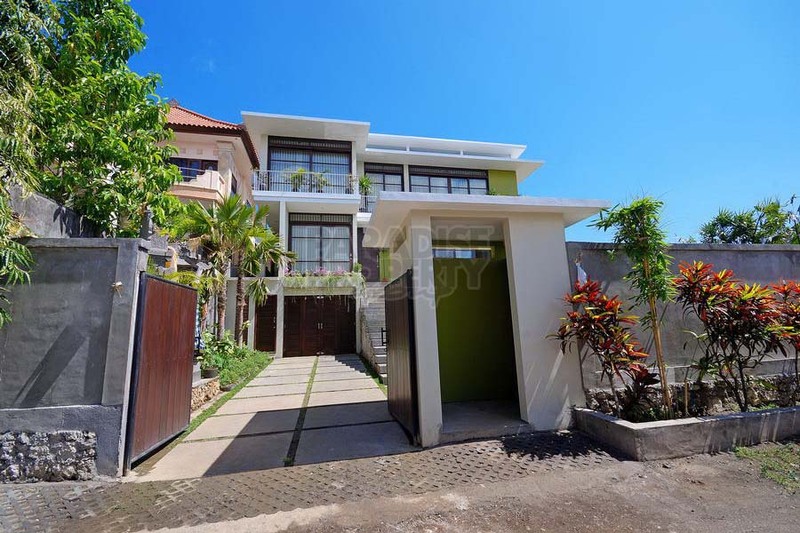 It is sited in a quiet suburb up on a hillside Incorporating a blend of modern and traditional Balinese architecture, this relaxing two story villa captures the refreshing sea breeze, while gazing out at the Indian Ocean. 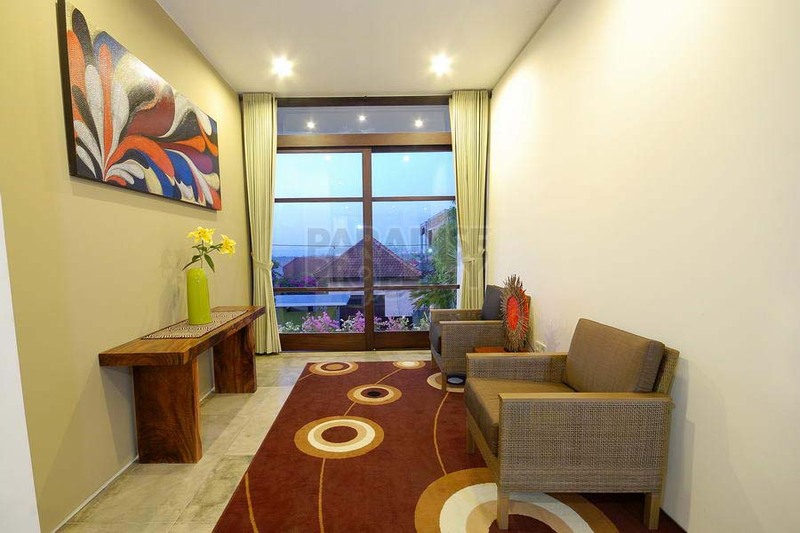 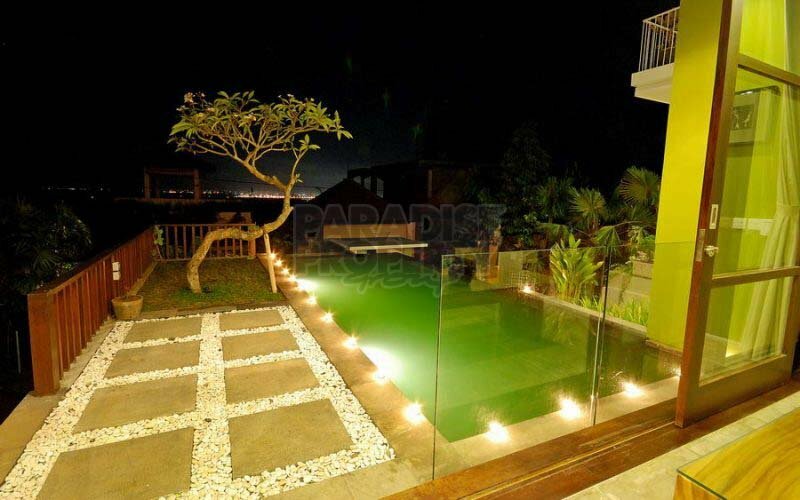 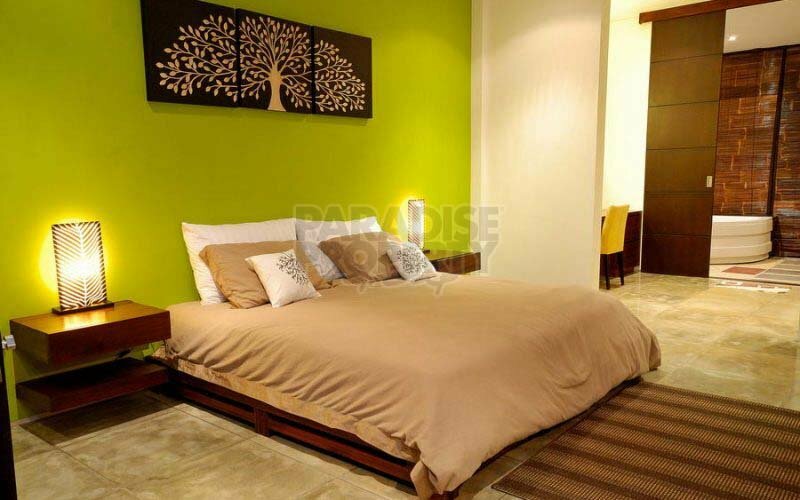 It is located one minute to GWK (Garuda Wisnu Kencana) park and approximately 30 minutes to the airport. 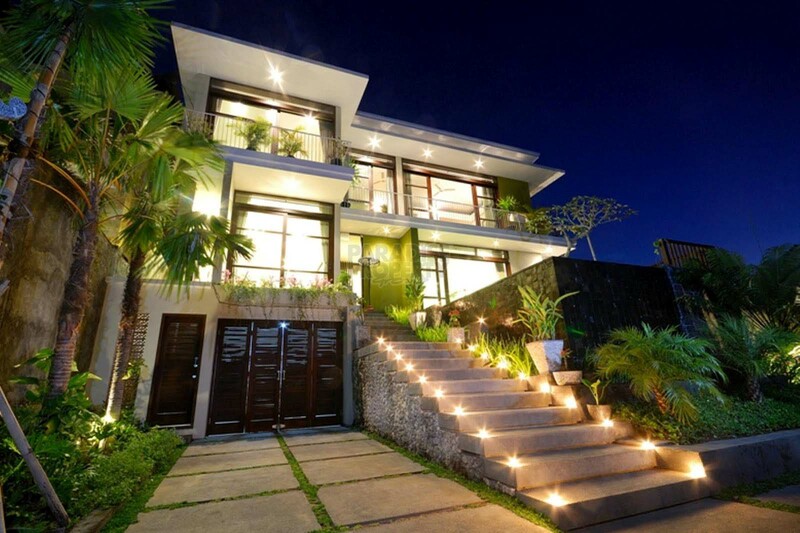 This property was built following the contours of the land, so it is seen as having three levels (ground, first and second level). 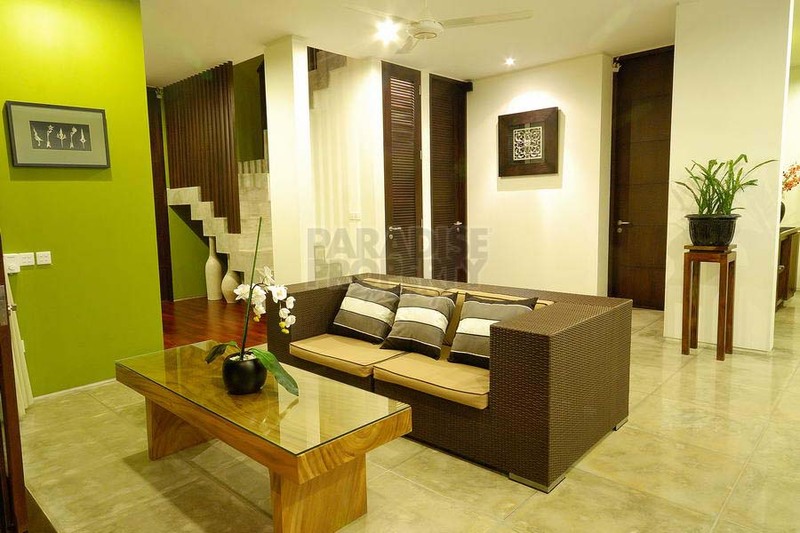 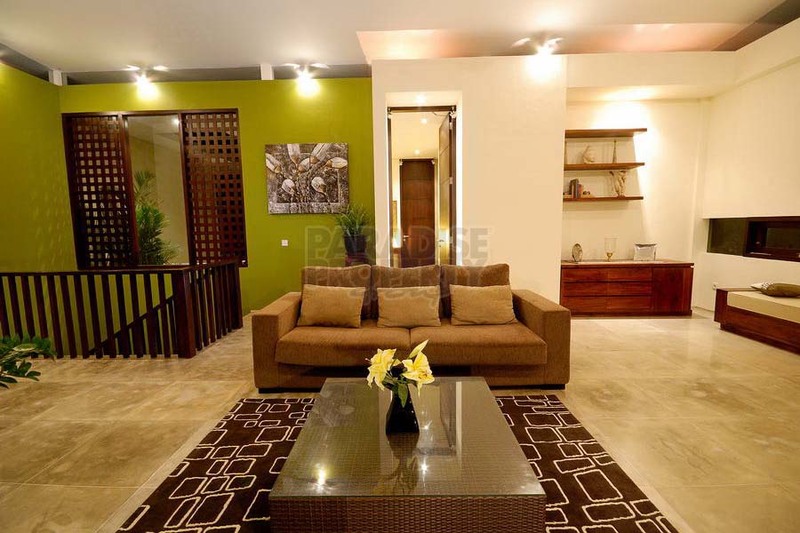 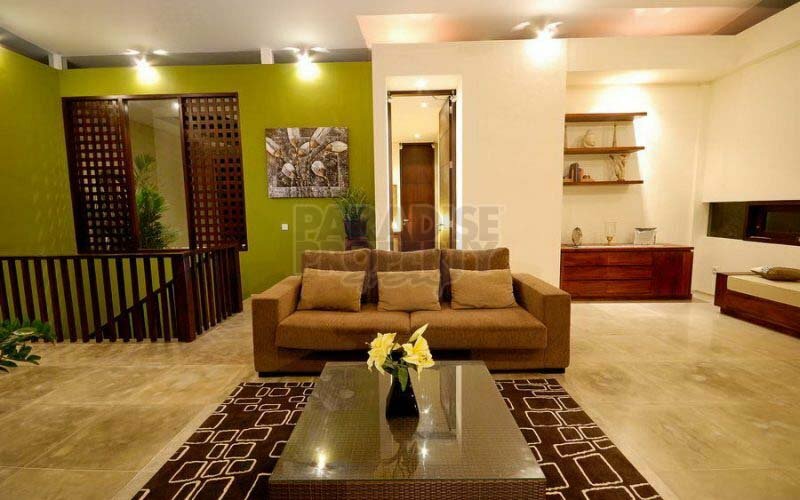 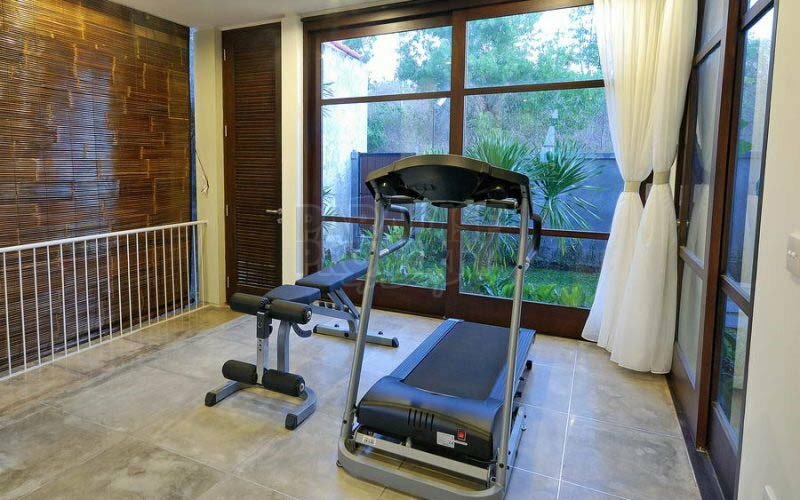 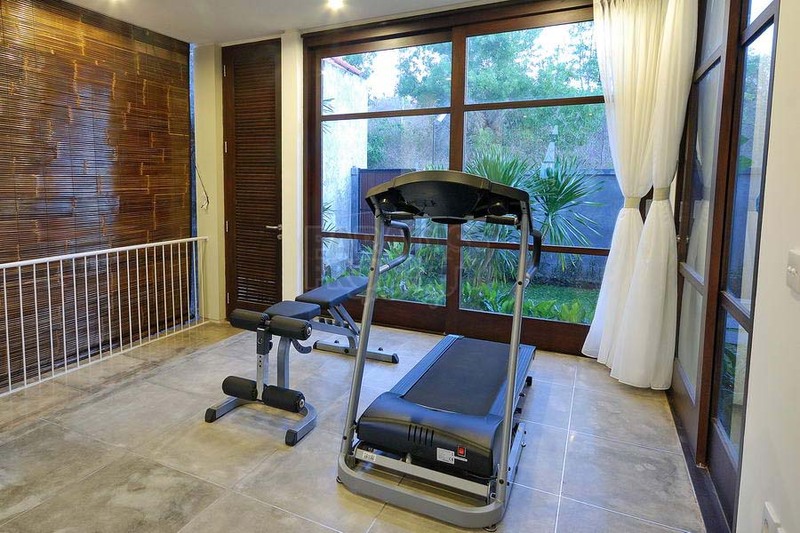 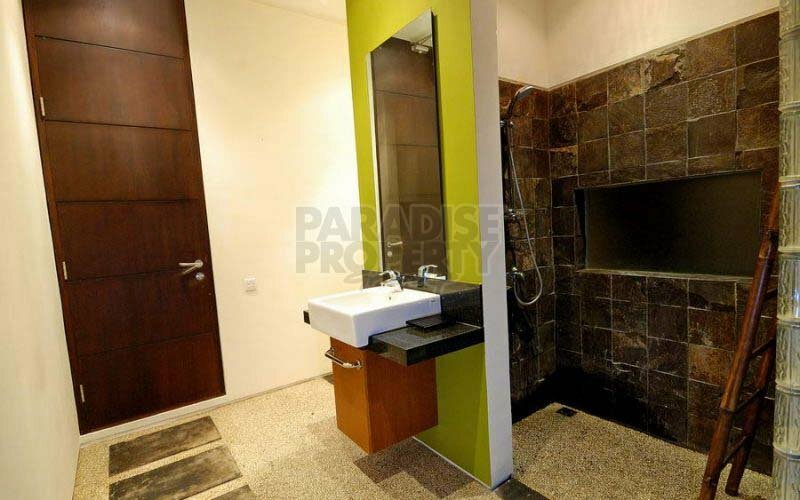 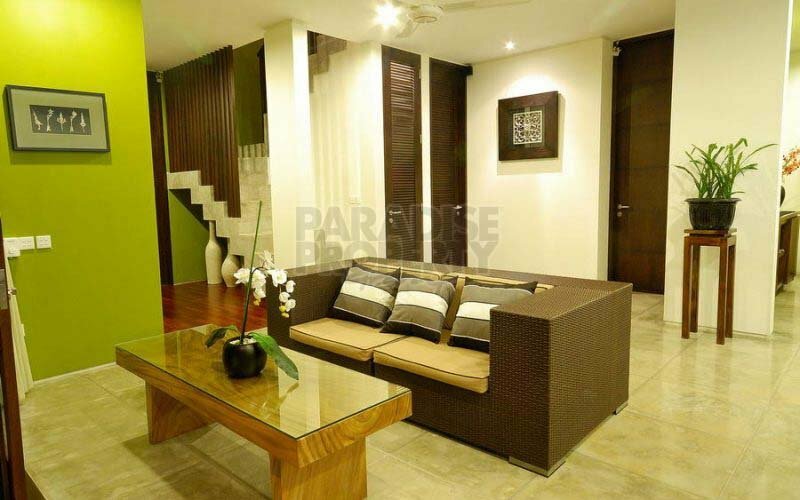 When you enter this property, there is a garage which is large enough to accommodate two cars and a few motor bikes and a small staircase at the left which goes to the first level, connecting you with a small office which is adjacent to the gym room. 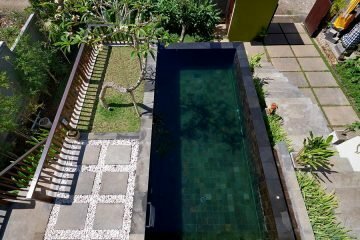 There is also a staircase next to the pool which will bring you to the enclosed living room, TV lounge, kitchen, storage room, and a rear garden. Also on this level, you have one bedroom with an ensuite bathroom and powder room. From the living room you can access the second level via a staircase, where you can enjoy a nice view of the Indian ocean and the stunning Jimbaran beaches. 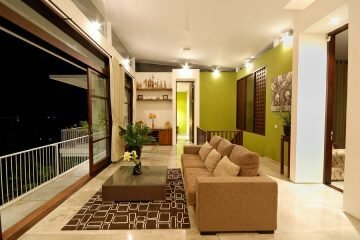 On this level there is a lounge with a comfortable sofa and a terrace. 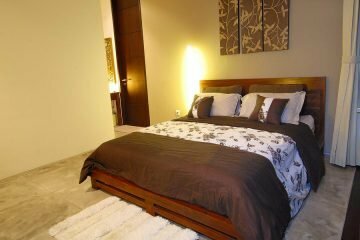 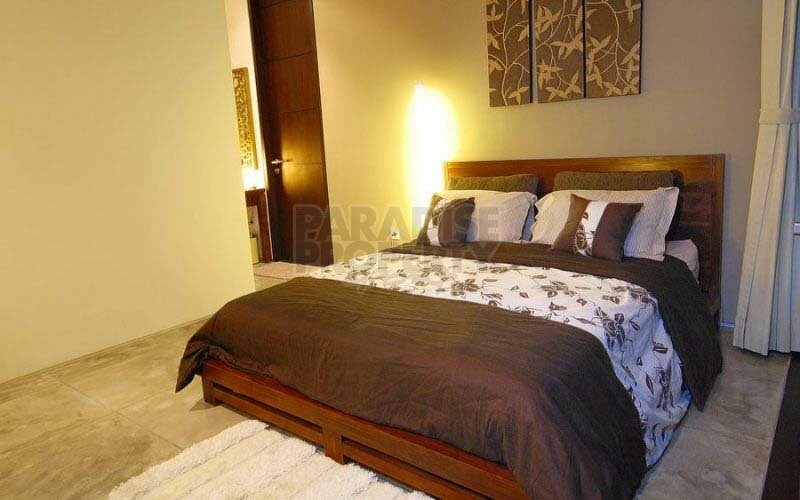 There is also two bedrooms with a spacious bathroom and excellent air circulation. This house is fully furnished with recycled teak flooring in the living room, custom made and designer solid wood (mostly teak) furniture and unique artwork..